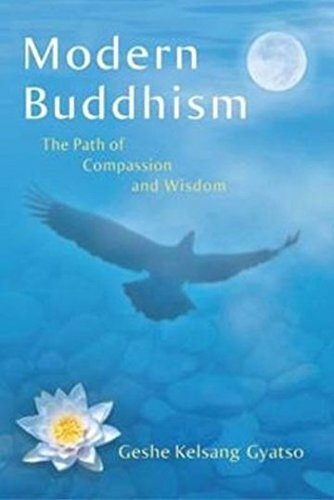 A special presentation of Buddha's teachings on compassion and wisdom that communicates their essence in a way that is easy to understand and put into practice. By developing and maintaining compassion and wisdom in daily life, we can transform our lives, improve our relationships with others and look behind appearances to see the way things really are. In this way we can find lasting happiness and accomplish the real meaning of our human life. With compassion and wisdom, like the two wings of a bird, we can quickly reach the enlightened world of a Buddha. From the author: 'I would particularly like to encourage everyone to read specifically the chapter "Training in Ultimate Bodhichitta". Through carefully reading and contemplating this chapter again and again with a positive mind, you will gain very profound knowledge, or wisdom, which will bring great meaning to your life.' This inspiring handbook of daily practice is perfectly suited to those seeking within Buddhism solutions to problems of everyday life, as well as for encouraging practitioners of all faiths to deepen their understanding and practice of the spiritual path.